Established in 1999 - Mesa, Arizona - USA. An extension to MIA Designs™ established in the early 80’s. 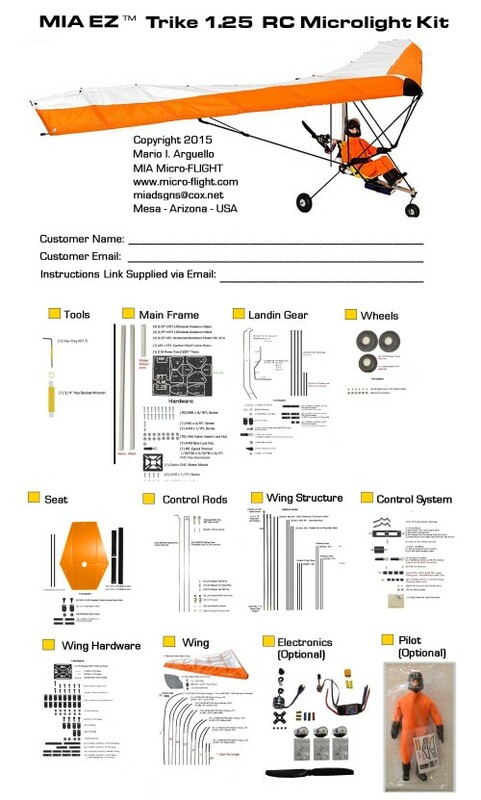 A Products and Services small company that has been designing, developing and manufacturing some of the world’s best, unique and original radio control (RC) products, in kit form, with emphasis on rotary wing and ultralight fabric covered microlight and ultralight models. MIA has also been making aftermarket parts and upgrades to improve other products in the rc hobby industry. As an extension, MIA offers custom design, engineering and manufacturing services to various creative fields. The company was formed by Mario I. Arguello after finding a need for model aircraft products outside the typical or which had not been done. Small free-flight rubber powered, electric and radio controlled helicopters, microlights, ultralights, autogyros, land yachts, robotic pilot figures and even UFOs, known today as quad-copters, multi-rotors and drones. In recent years MIA's concentration has been on larger scale High Performance RC Microlights, and Ultralights made from composites, steel, aluminum, nylon with sewn lighweight poly/nylon fabric sails. MIA comes from the old school, growing up with durable, long lasting products and so its direction, from day one, has been to provide similar to people looking for the same. 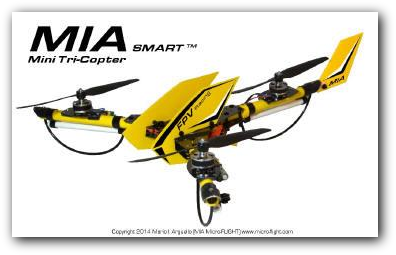 Why Purchase from MIA Micro-FLIGHT? Honesty - MIA places a sincere effort, on its services and on the quality and workmanship of every one of its products. This honest hard work and dedication has carried MIA Micro-Flight over 18 years, since establishing our company, to where it is now, never forgetting its humble beginnings. Originality - MIA prides itself on applying ingenuity, creativity, and uniqueness on its product design approach and kit manufacturing process so to provide our customers with great products that are outside the typical. High Performance - MIA conducts stringent tests on every product design in the prototyping stages and makes refinements to obtain maximum efficiency. Our careful manufacturing and check process, ensures that every kit has the same level of performance when built as instructed. Durability - MIA products are manufactured using modern-day lightweight, tough composites, plastics, fabrics and hardware. Realism - High Aesthetics - Sharp attention to detail and a balanced design flow is evident on all MIA products, a signature trademark. Versatility - MIA products use logical and practical modular electronic RC components to keep the product flexible and easily customizable from a user standpoint. Dedicated Product Support - In addition to offering step by step product assembly instructions and setup videos, customers get one to one product support via E-mail or Phone. 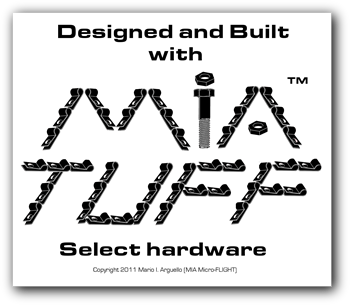 Experience - MIA passes on to its customers a wealth of over 2 decades of R/C product engineering and experience in the form of reliable products made with a lot of heart, thought, and meticulous attention to detail, manufactured here in the USA.